The Public Service Commissioner, John Lloyd, has resigned, hard on the heels of the recent Senate estimates hearings that probed his relations with the right-wing think tank the Institute of Public Affairs (IPA). Lloyd, who was appointed commissioner by the Abbott government, had been subject to a complaint that he breached the Public Service Code of Conduct. But he denies that recent events have driven his decision to resign. Lloyd, a former Australian Building and Construction Commissioner, has incurred the ire of the union movement. He also formerly worked at the IPA, where he was director of its work reform and productivity unit, and kept up email contact with that body while at the Public Service Commission. Lloyd told the hearing it reflected his “personal annoyance” at the attacks on him. At the October estimates hearing he was under scrutiny over an email he sent to the IPA indicating the generous provisions in public service enterprise agreements. He rejected suggestions he was giving the IPA special access, arguing the information was public and there was “nothing untoward”. In the latest hearing, Labor repeatedly asked whether he was subject to an inquiry. Initially Lloyd declined to answer, to the annoyance especially of ALP Senate leader Penny Wong. Later he informed the committee – via a letter to the committee chairman, James Paterson – that he was not under investigation. In an letter to parliament’s presiding officers, the acting Merit Protection Commissioner Mark Davidson, said that on January 11 he had received an allegation that Lloyd had breached the Public Service Code of Conduct. Davidson said he was still considering whether to start an inquiry. In a statement on Monday, the Public Service Commission said Lloyd had advised the Governor-General, Sir Peter Cosgrove, of his resignation, which will take effect in early August. “Mr Lloyd had, for some time, been contemplating resigning before the end of his term as APS Commissioner,” the statement said. “An end date of around August 2018 had been under consideration. The time chosen has not been influenced by recent events. The timing suited Mr Lloyd and his family. It is believed that the powerful secretary of the Prime Minister’s department, Martin Parkinson, has not been a fan of Lloyd. The government farewelled him in restrained terms. The Prime Minister’s Office referred inquiries to the Minister Assisting for the Public Service, Kelly O’Dwyer, who said, “The government thanks Mr Lloyd for his many years of public service”. 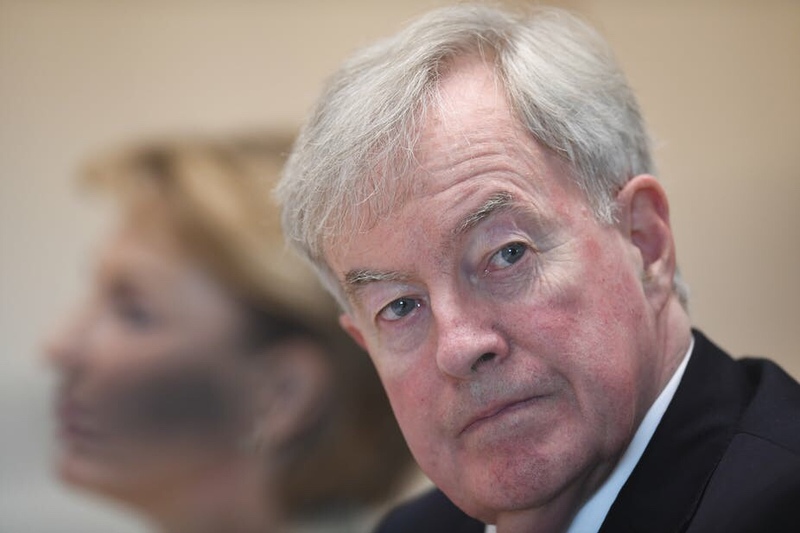 His resignation came “after intense scrutiny of his partisan behaviour” while jobs minister Michaelia Cash was the responsible minister, O’Connor said. “Mr Lloyd presided over a chaotic and unfair approach to enterprise bargaining where thousands of workers lost important workplace rights and conditions of employment,” he said. The Community and Public Sector Union welcomed Lloyd’s exit, accusing him of bringing “his office into disrepute by using a public service position to help his friends at the IPA attack workers in a Senate inquiry into bargaining”.